Reoperative gastric surgery is technically challenging and is fraught with pitfalls. The dissection may be difficult because of dense adhesions to surrounding structures including the spleen, the transverse colon, pancreas, and structures of the porta hepatis. 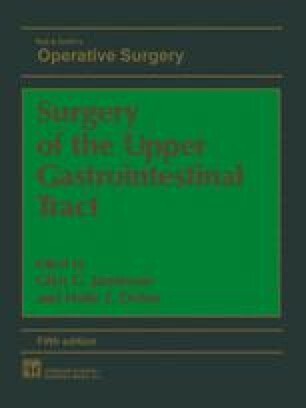 With appropriate preoperative management and an effective operative plan, the risks of reoperative ulcer surgery can be minimized.